Good Day to all of our Freebie Fridayer fans out there in blogland! Happy last Friday of February! It is incredible to believe that it is almost March already. 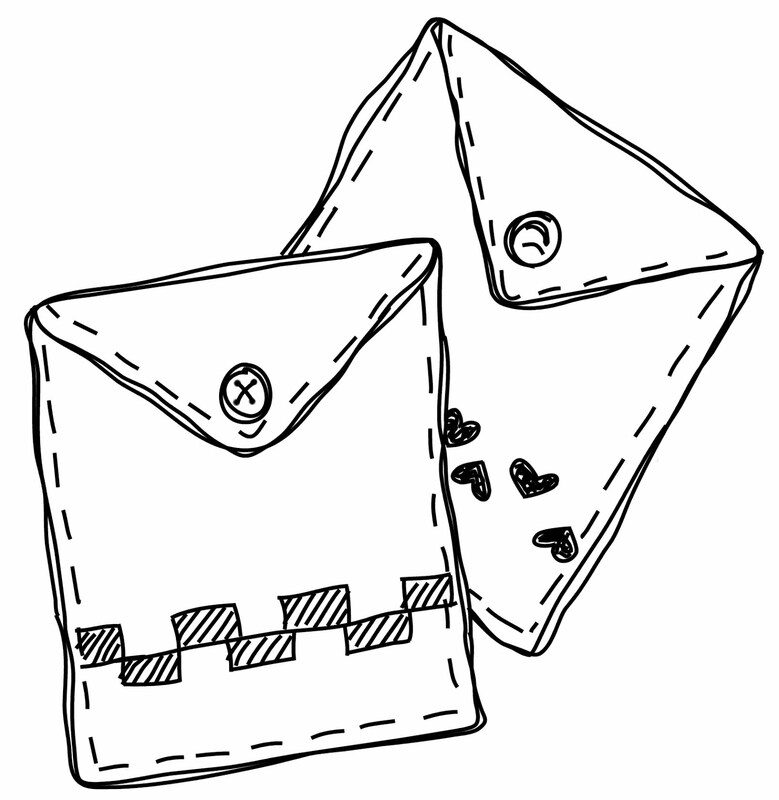 We're doing something a bit different today in the Freebie Friday slot. 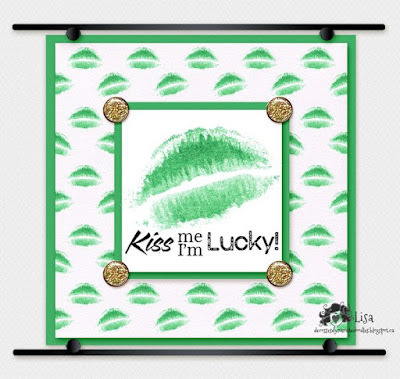 I've dipped into the store vault to find a great sentiment perfect for any St. Patrick's Day card you have yet to make for a loved one or even simply to share your kisses with someone special. Please note that since this sentiment comes directly out of the store, it will ONLY BE AVAILABLE for 1 WEEK as a freebie. So, be sure to grab it NOW while you can before it is slipped back into the vault. Image No Longer Available for free. You can find it in the store for sale by clicking HERE. I'm sure you know someone close to you who could do with some special kisses! Don't forget, our challenge this month is to use a previous Freebie Friday image on your card and we'd love to see what you create with one of Sandy's fab freebies! There is still over two weeks to join and you can find out all the details by clicking HERE. If you'd like to check out the remaining details for my card, including seeing the inside that I created, I'd love for you to come and visit me on my personal blog. You can find my card posted HERE. Well that is it for this one! I'll see you all again tomorrow for the final Guest Scribbler's showcase for February! Good Day to all of our Freebie Fridayer fans! We're taking things in a different direction over the next few weeks. In just a little under a month there will be another occasion to celebrate: St. Patrick's Day. 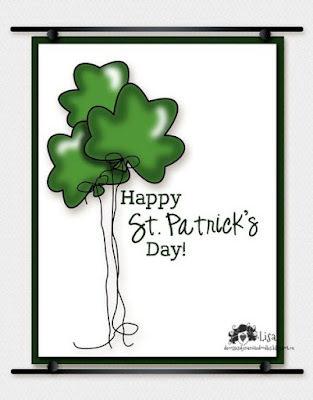 Whether you are Irish or not, all are welcome to celebrate this special day. There are so many ways to use these balloons? What will you come up with? Don't forget, our challenge this month is to use a previous Freebie Friday image on your cards and we'd love to see what you create with one of Sandy's fab freebies! You can find out all the details by clicking HERE. Well that is it for this one!I'll see you all again next Friday! Well hello to all of our Freebie Fridayer fans! Since Valentine's Day is just two days away, we have decided to stick with one last 'love' themed freebie. 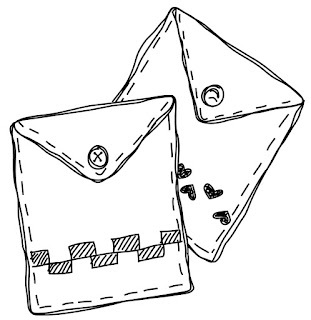 Although today's freebie is just a bit different as it is a digi paper made with one of Sandy's previous freebies. Well that is it for this one! I hope that you enjoy today's offering. Don't forget there are still a couple days to enter our current challenge. The theme is Have a Heart and we'd love for you to join us. You can find out all the details by clicking HERE. I'll see you all again next tomorrow for the next Guest Scribblers Spotlight! 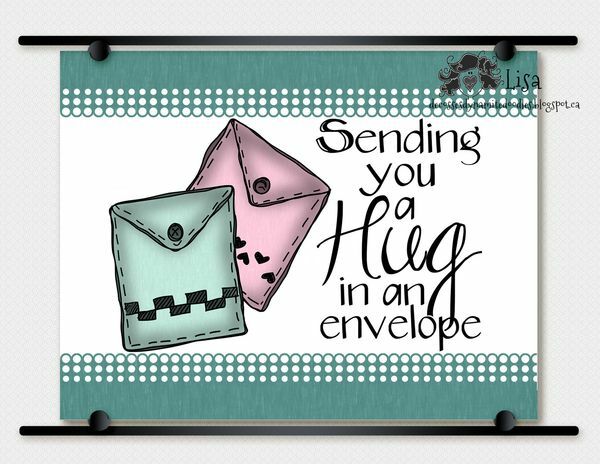 While I have used these envelopes to send my parents a hug over space, the versatility of them allows one to use them in many different ways. What will you come with? 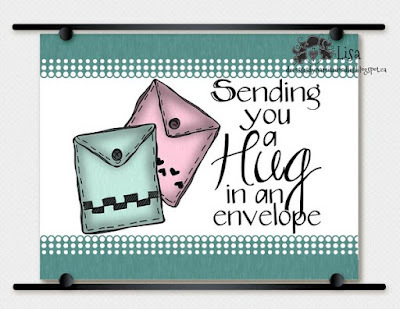 Don't forget we love seeing what you create with Scribbles Designs images! Well that is it for this one! Be sure to check out our current challenge while you are here. The theme is Have a Heart and we'd love for you to join us. You can find out all the details by clicking HERE. If you'd like to check out the remaining details for my card, I'd love for you to come and visit me on my personal blog. You can find my card posted HERE. I'll see you all again next Saturday for the next Guest Scribblers Spotlight!